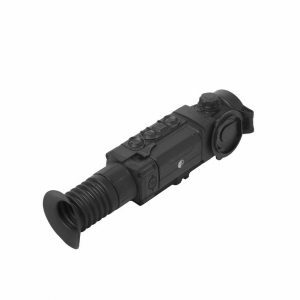 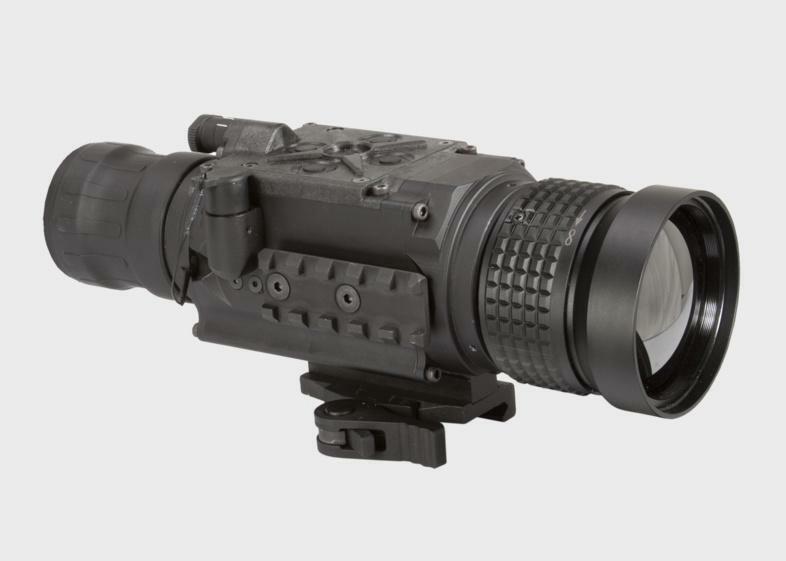 Armasight is excited to introduce its latest and most technologically advanced family of Apollo Thermal Imaging clip-on systems to the sporting, law enforcement and military markets. 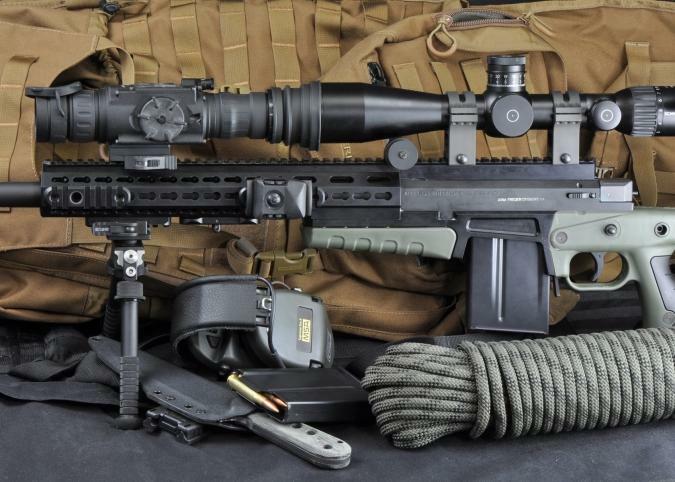 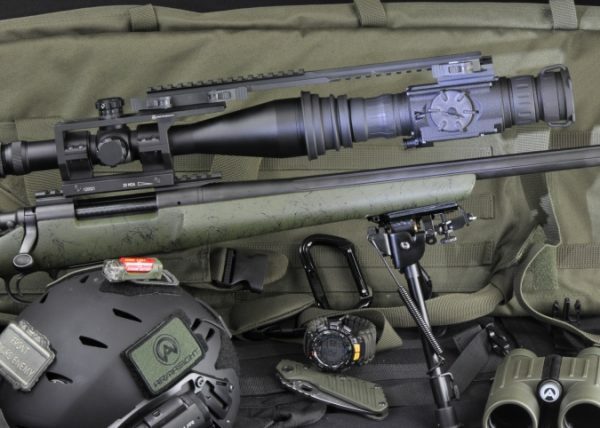 The Apollo product line developed based on the FLIR Tau 2 VOx microbolometer core and optimizing performance, price, and state-of-the-art technology for a variety of users, from the committed hunter to the military designated marksman. 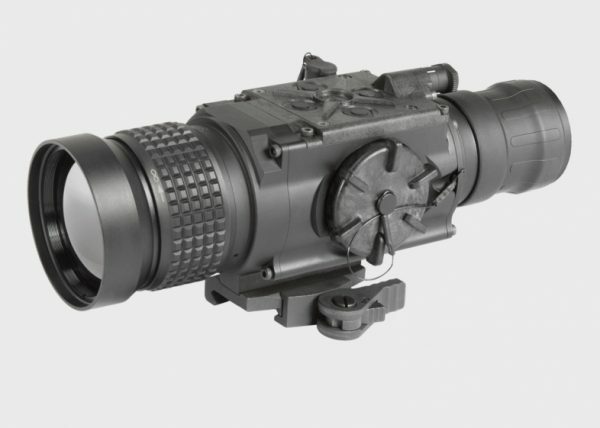 The Armasight by FLIR Apollo eliminates the traditional requirement of removing your existing day scope from your rifle, to replace it with a dedicated thermal sight (which would also involve re-zeroing). 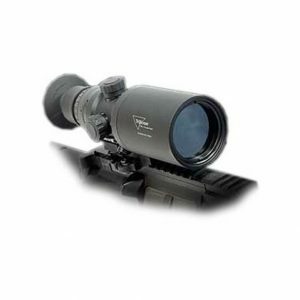 The Apollo simply mounts in front of your own standard daytime optical sight. Factory bore-sighted to tolerances of less than 1 MOA, no re-zeroing is required. 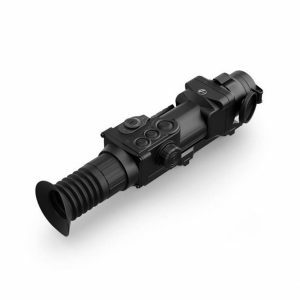 The Apollo allows the user to maintain consistent eye relief and shooting position, and because the user views his own day scopes reticle (which he is familiar with), no re-training is required. 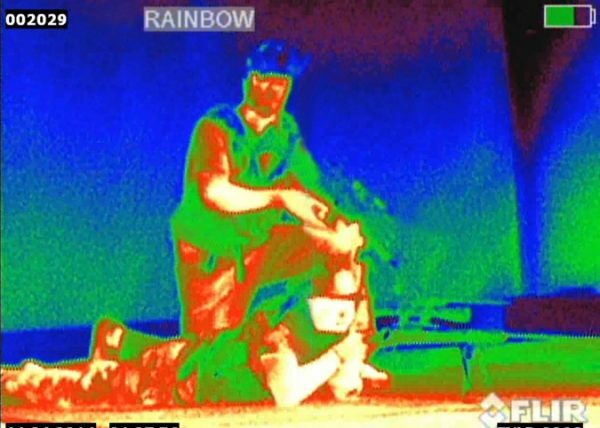 In addition to being the smallest and lightest in their class, Apollo thermal imaging clip-on systems are characterized by their simple and intuitive controls, functions, and features that are layered among direct button adjustments, direct combination button functions, and electronic menu selections. This “layering” of easy-to-understand control functions provides the operator with a framework for customizing his preferences and exploiting the robust variety of setting options available in the Apollo. 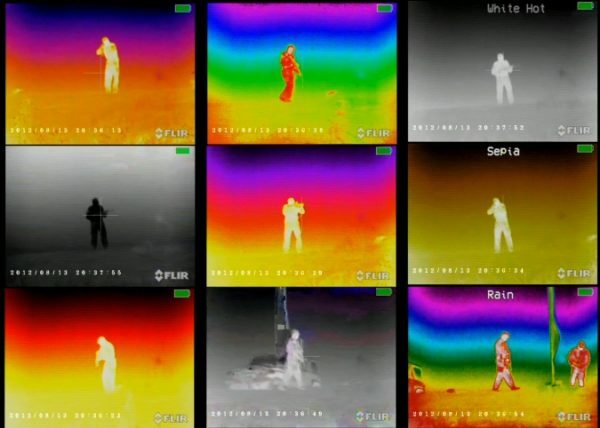 The Apollo has a unique series of menu selectable temperature sensitive “scenarios” for rapid target detection, in addition to a variety of color display presentations based on a rich, upgradeable software package. 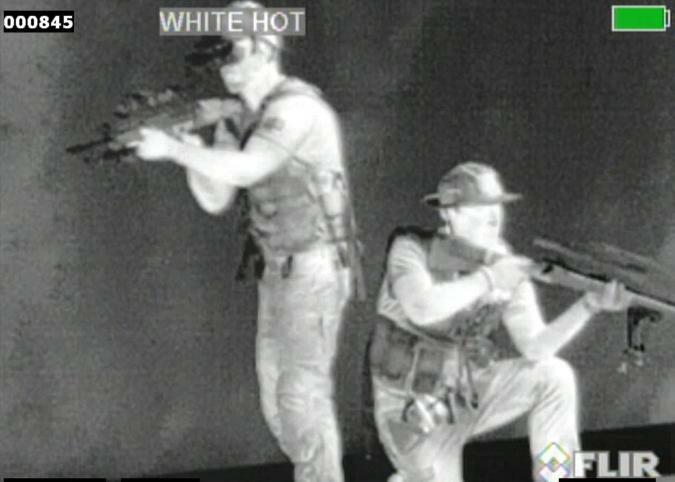 A wireless remote switch is included to activate the Apollo thermal imaging clip-on system when positioned in the “standby” mode. 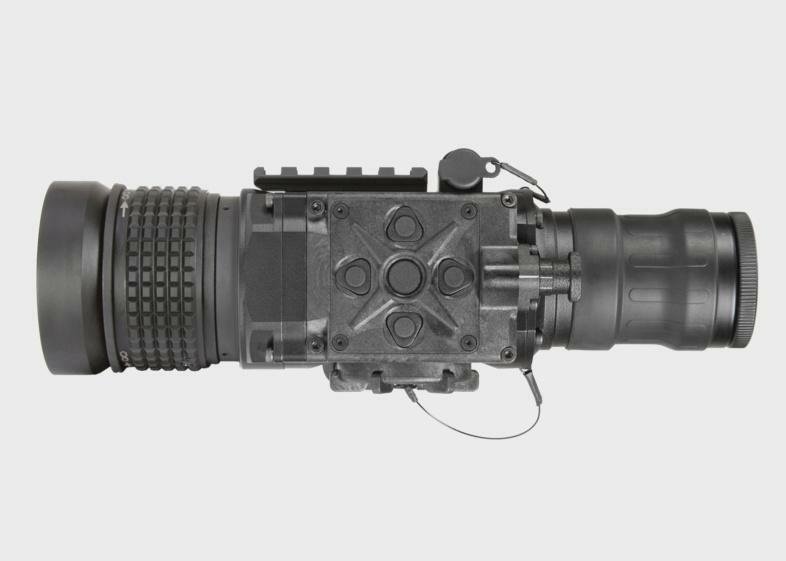 The Apollo has the ability to record imagery and is equipped with a video-out capability in operator selectable NTSC or PAL formats. The Apollo uses the same multi-pin connector to provide video-in imagery, where there is a need for map display overlay, and external power access.